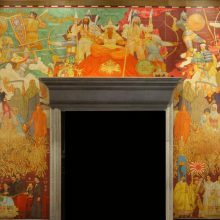 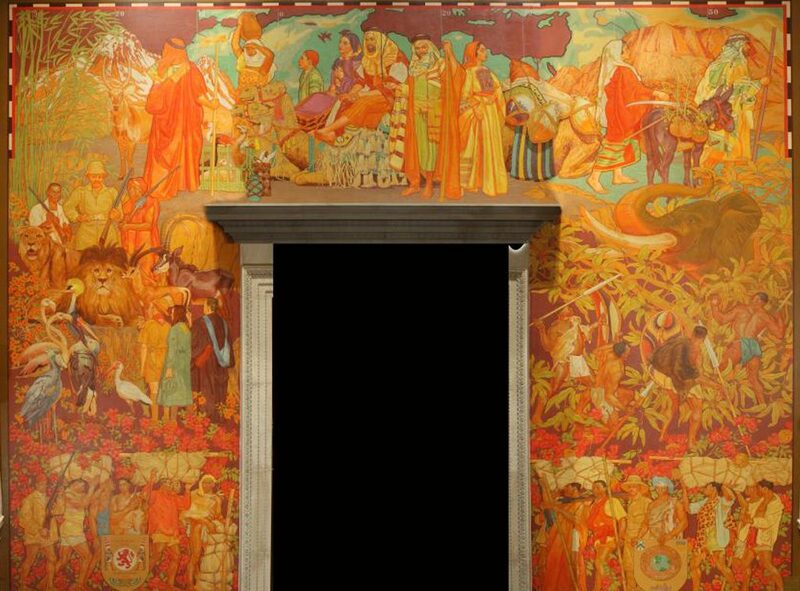 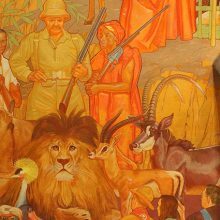 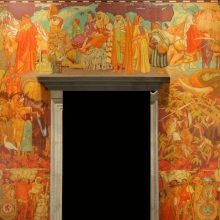 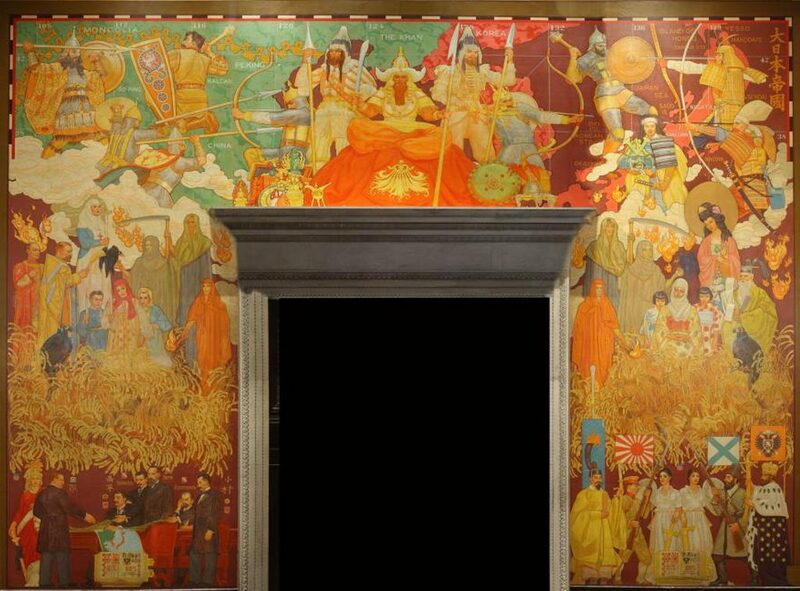 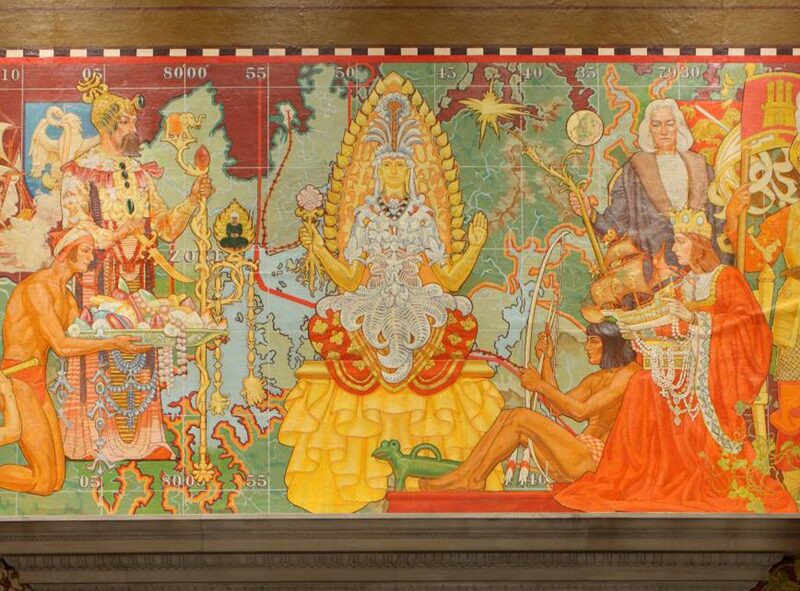 Painted by American artist William Andrew Mackay in 1935, the mural cycle in the Theodore Roosevelt Memorial Hall of the American Museum of Natural History pays homage to Theodore Roosevelt’s international conquests and accomplishments. 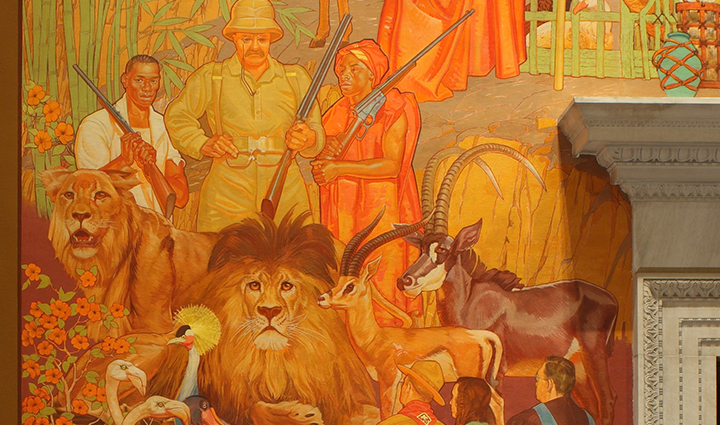 Quotations from Roosevelt’s writings are displayed on four walls under the headings Youth, Manhood, Nature, and The State. 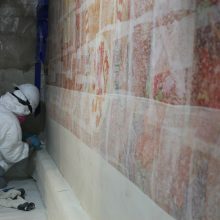 Planar distortions in the murals and delamination of canvas from the plaster substrate had been the subject of concern, examination and treatment for more than 35 years. 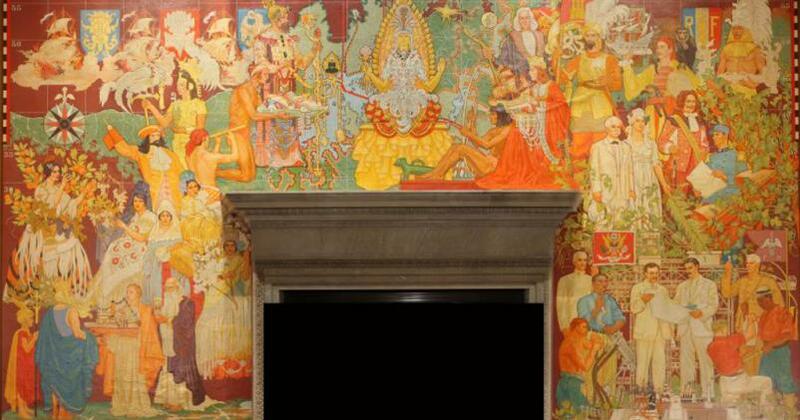 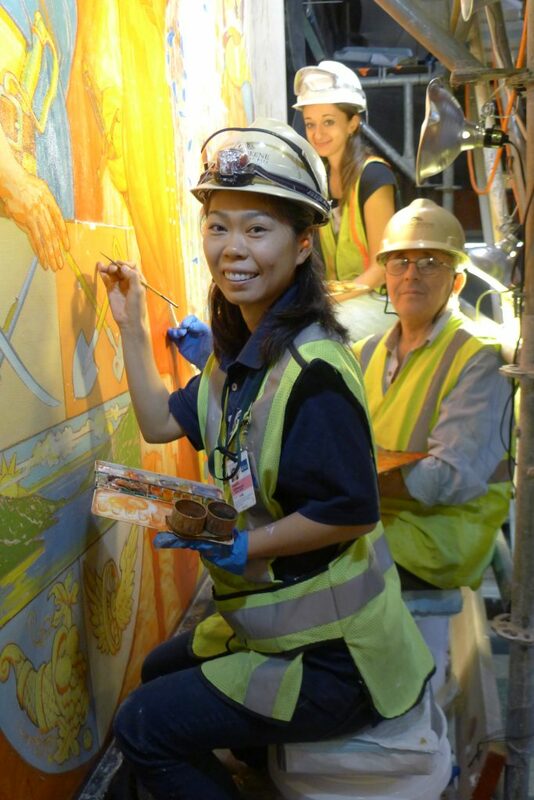 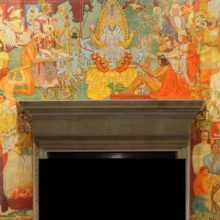 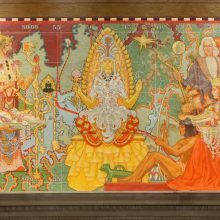 These are some of the largest indoor murals in a New York City public building, as the conserved historic murals cover an area of more than 5,200 square-feet. 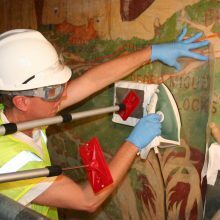 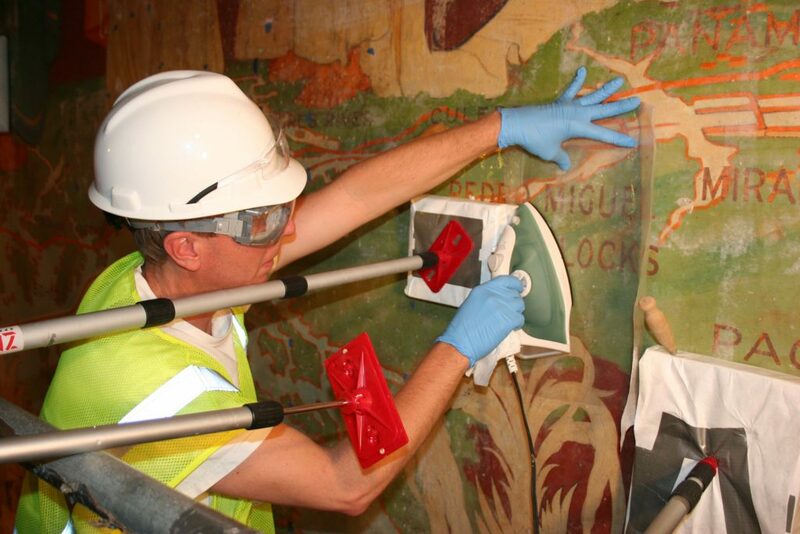 Based on archival research, media analysis and condition survey, EverGreene developed a comprehensive treatment plan to remove, repair and restore the entire mural cycle which was approved by the owner, their consultants, and the Public Design Commission. 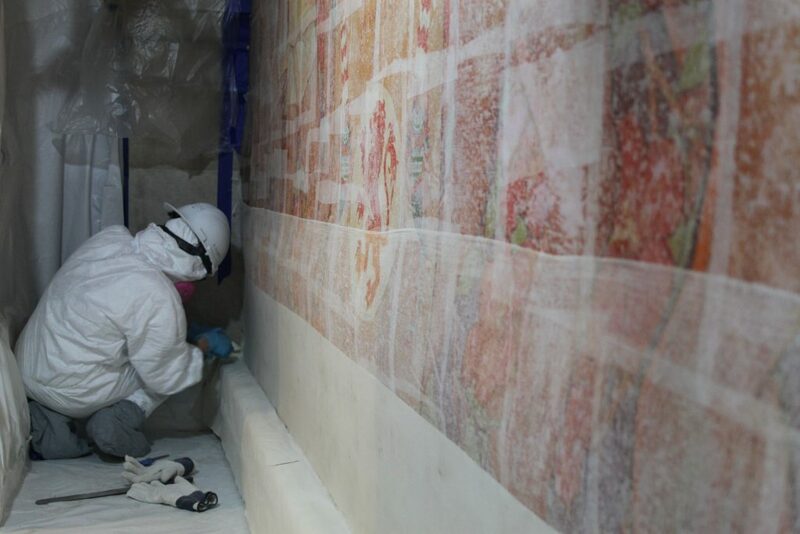 Following extensive treatment testing on one canvas in a pilot phase, EverGreene conservators and technicians executed a wide range of treatments on the entire mural cycle, including treatment of unstable plaster, removal (and subsequent reinstallation) of seven canvas panels, flattening of planar distoration, repair of previous damage, varnish removal, paint consolidation, surface cleaning, and inpainting.